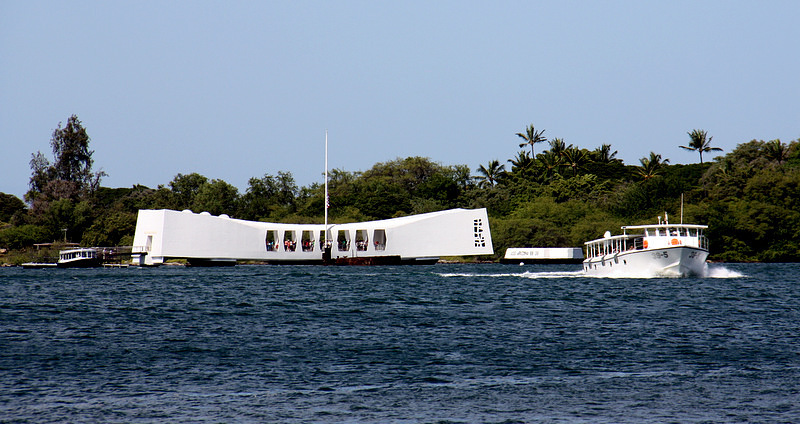 The USS Arizona Memorial is a national monument honoring those who served in the Pacific Theatre during and after the Japanese naval assault on Pearl Harbor on December 7, 1941. 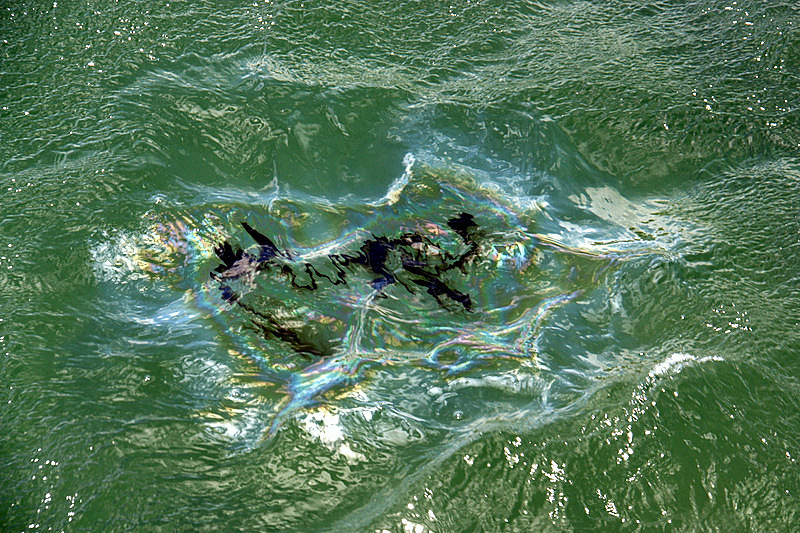 The memorial structure is built on and directly over the rusted remains of the sunken battleship USS Arizona. 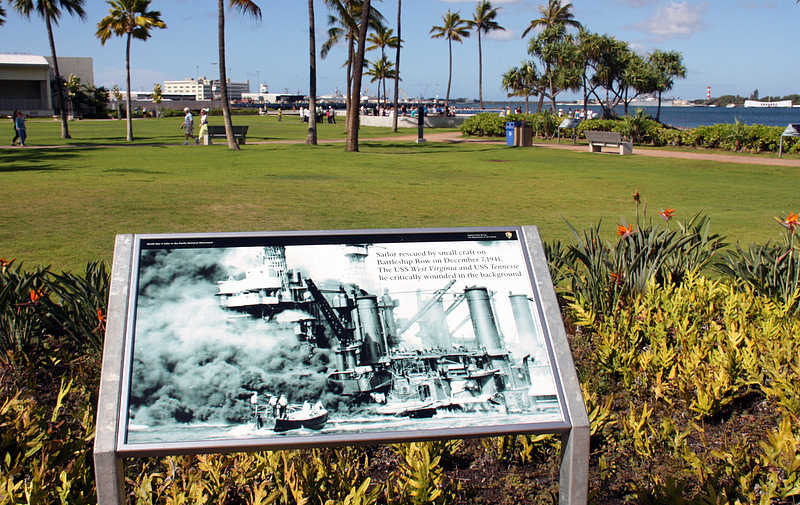 This is the final resting place of 1,177 Americans killed when a bomb penetrated the deck above the ship’s munitions magazine during the Japanese air attack on Battleship Row. 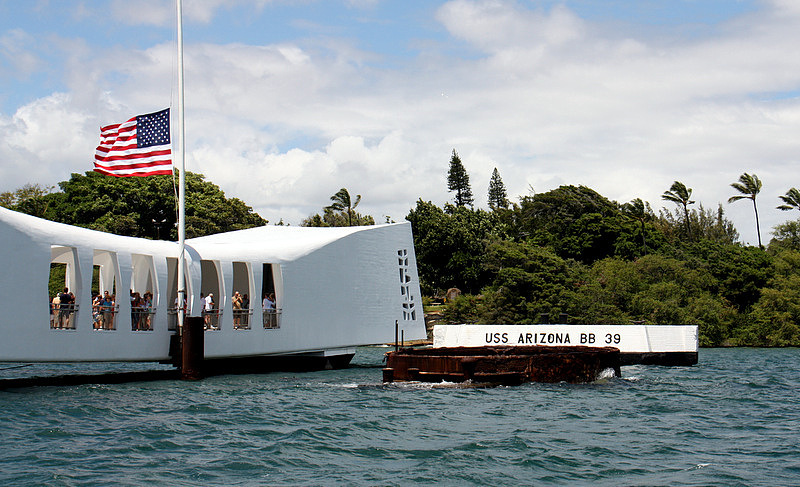 The loss of life on the Arizona represents more than half of all the Americans killed on December 7, 1941. It also represents the greatest number of casualties on any American warship in history. 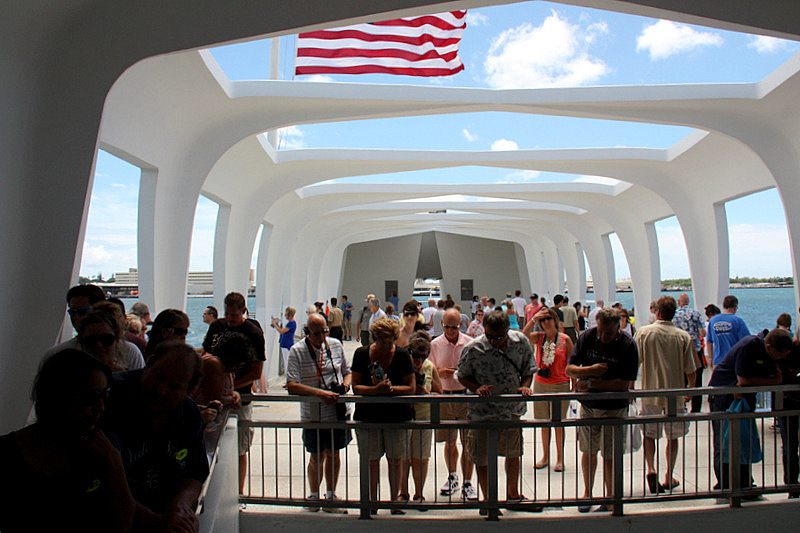 If you have not been to the memorial lately, you will be much impressed with the park like setting at the Pearl Harbor Visitors Center. 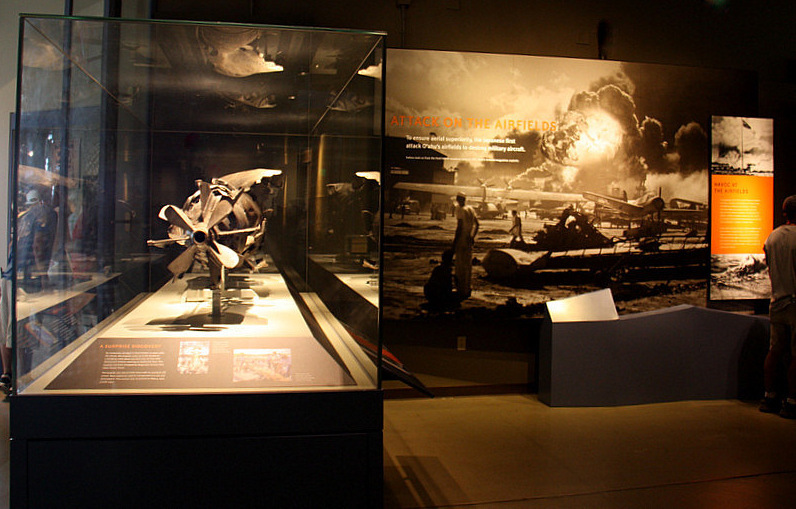 While at the Center, be sure to see the 23-minute film and audio tour that brings that fateful morning at Pearl Harbor to life. 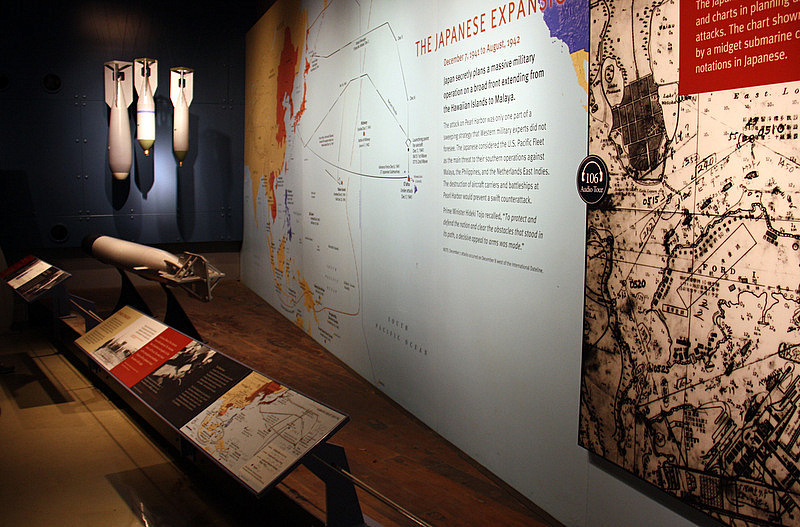 The exhibits at the Center are designed to pull visitors deftly into that specific moment in history, as they relive the politics and events leading up to the Japanese attack. The presentations are poignant – be prepared for a holistic experience you will not forget. 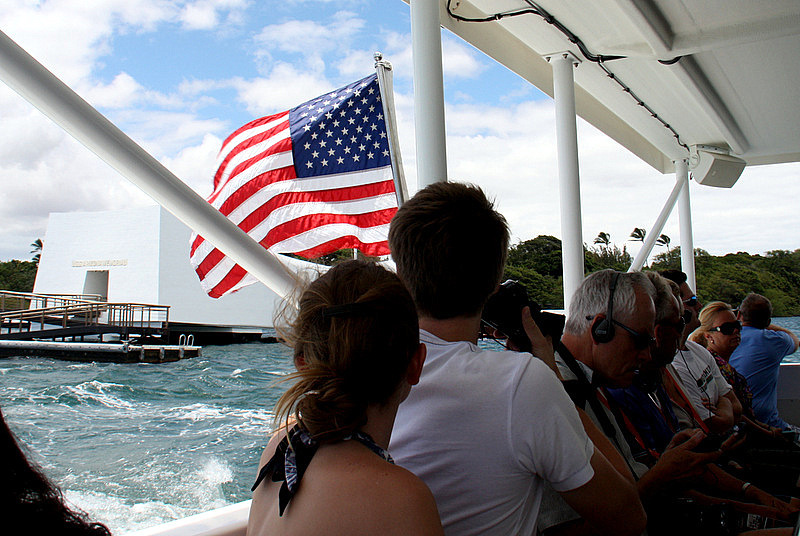 When their background education is refreshed, visitors board a launch operated by the Navy and are ferried across the harbor to the waiting memorial. It is a short and quiet ride. After pulling alongside the monument, passengers disembark and walk up to the cenotaph resting on the Arizona. At the far end of the memorial, look for the Wall of Honor with the names of those that gave their lives on the ill-fated Arizona. They are now resting beneath your feet. Visitors speak in whispers, tears are visible, eyes are cast downward into the entombing water, and minds imagine the confusion and utter chaos of that December morning so long ago. It all seems surreal to the observers who now stand in the gentle Hawaiian breeze – safely atop the remains of the Arizona. 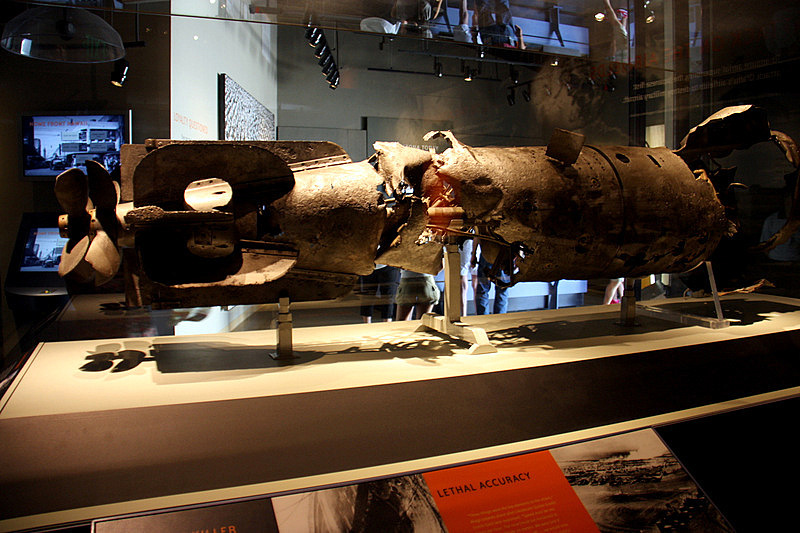 One can only wonder what life might have held in store for the one-thousand plus soldiers and sailors below – if they had not been aboard the Arizona on that fateful day. Had they lived, what famous Americans might they have fathered for our generation, what greatness might they have achieved? America moved forward, one-thousand heroes remain at their post. 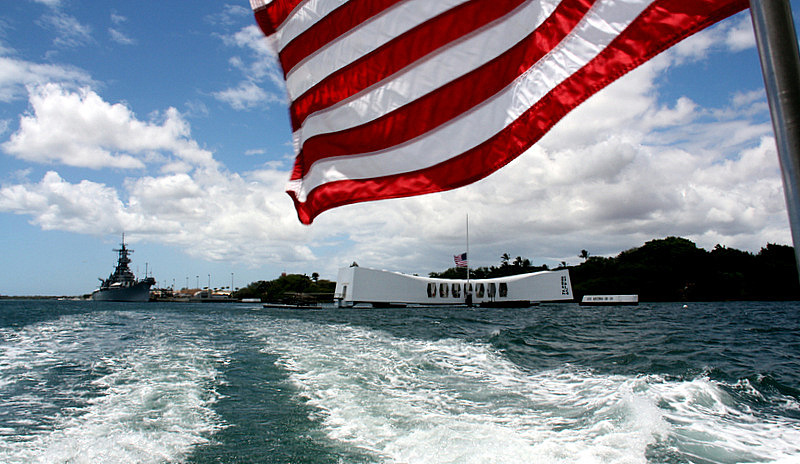 Save a day during your vacation on Oahu and take your family to see the USS Arizona Memorial. For some, it is an awakening and first time realization about the many Americans that have sacrificed everything to keep our nation free. 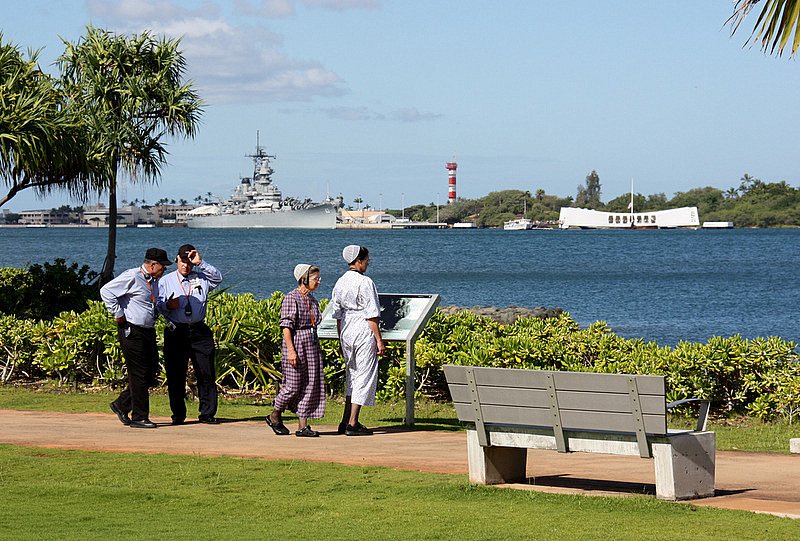 The Arizona Memorial is now symbolically guarded by the ever-vigilant USS Missouri battleship. “Big Mo,” is permanently docked in Pearl – just up-harbor from the Arizona. 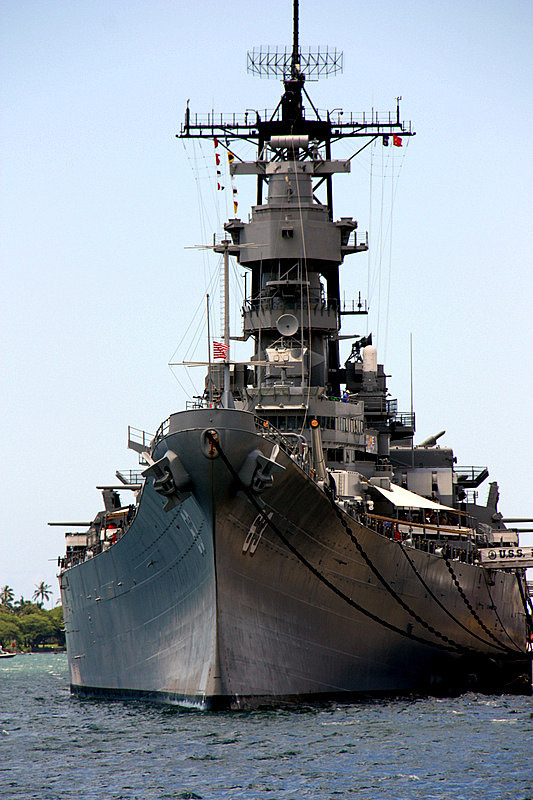 The Missouri fought in and survived WWII and her deck was the historic site of the official surrender of Japan in 1945. It seems fitting that a battleship that participated in ending the war in the Pacific, should rest near the dreadnought that was the earliest casualty of the conflict. The great Missouri went on to fight in Korea, and Operation Desert Storm. She was decommissioned in 1992, and took up her post as silent sentinel for the Arizona in 1999. 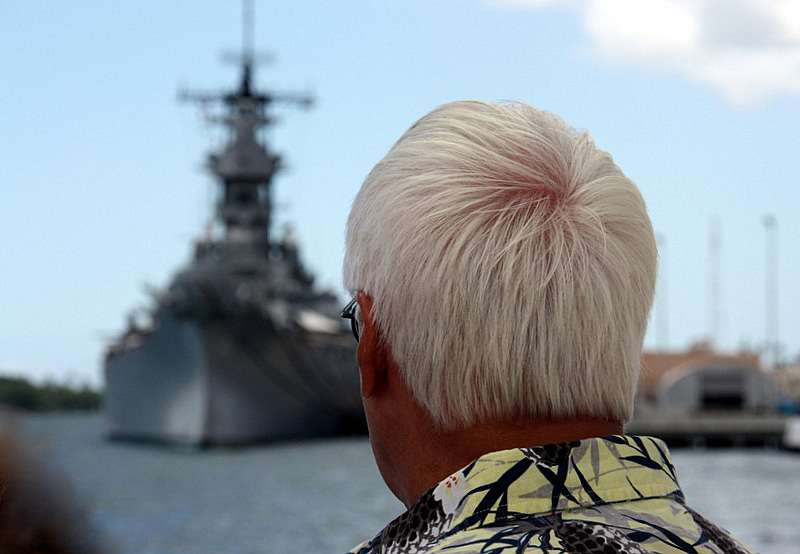 The USS Missouri has the distinction of being the last active battleship in the world. 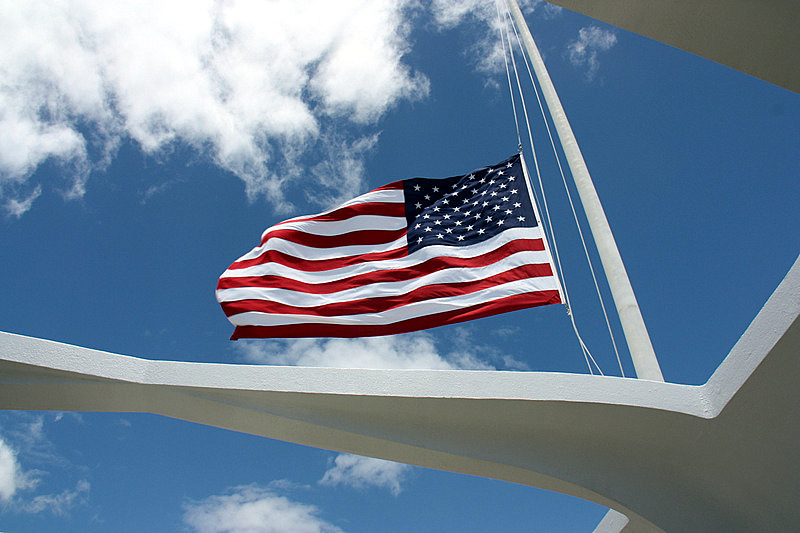 The USS Arizona Memorial is located in Pearl Harbor, which is two miles west of the Honolulu International Airport. 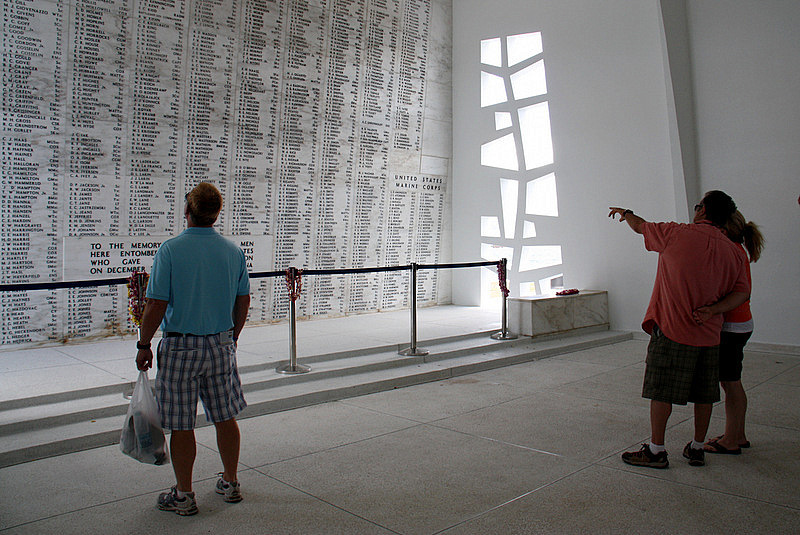 Look *here* for more information about the USS Arizona Memorial, and *here* for the USS Missouri Memorial. Happy travels – Remember our troops, not only today, but always.